Drop the ‘Lean Startup’ buzzwords please. Promoters, show me the results! I am proud to be an advocate of the Lean Startup movement. I have worked with lots of startups to firstly explain the principles and secondly to use the tools. Why – because when I read The Lean Startup, The Entrepreneur’s Guide to Customer Development, particularly Running Lean and most recently The Lean Entrepreneur, the content resonated. From my experience of meeting almost 1,000 startups over the last 5 years, the many many points addressed in these books and blogs rang true. But there is a small problem. Some startups think that these approaches offer a silver bullet. They do not. They offer guidance on how to work hard and effectively to build your startup. My biggest gripe is when I see business plans and business plan presentations peppered with ‘pivots’, ‘product/market fit’, and other Lean Startup buzzwords. My advice in these instances to startup promoters is, “Drop the ‘Lean Startup’ buzzwords please, Show me the results”. This blogpost is inspired and will serve as a contribution to the debate started on Graham Royce‘s blog. He is a friend, former colleague of many years, a mentor that I respect and hopefully a future Customer (!!!) with the New Frontiers programme. Anyways, with regard to this particular blog on Lean Business Startup, I have to disagree completely with the point that the Lean Startup movement is not advantageous to the startup promoter and the startup community . Don’t worry we agree on the fundamental points – that 1) you need to know your customer, and 2) you need to solve their problem. I would now like to answer some questions that I asked myself after reading Graham’s post. 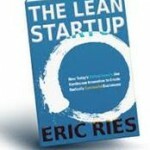 ► So why is ‘Lean Startup’ needed? Business books primarily deal with established businesses where the customer is known and the problem being solved in known. A startup is fundamentally different. The customer is only a guess at the outset and the problem being solved is also a guess. Both of these factors plus others need to be proven by the startup promoter. New thinking is needed to manage the startup process.This is where the Lean Startup movement fits in.When making this point I am reminded of the journey made by Emutex, a Limerick based company set up by John Twomey and Mark Burkley, both ex Intel. I bet both would agree that business life is different in a startup versus a multinational. It could be argued that this is not new thinking. One of my favourite books on startups is the New Business Road Test. But I now embrace the Lean Startup as it has gathered momentum and has huge credibility with startups, investors and enterprise support agencies. It has particular credibility with Software gurus as it uses a language that they understand. As a marketing person it is wonderful to hear Engineers talking about engaging with customers. Millions of startups have succeeded so why not learn from their experience. Millions more startups have failed. It is paramount that we learn from their mistakes. I am reminded of a day when a promoter came to meet me when I managed LIT’s incubation centre. She had spent €100,000 on her business and had little to show for it. She was wondering what I could do to help. Very little was the answer. Back to first principles was the only answer I could muster. ► What is a Lean Startup? 1. Validate core hypotheses (customer problem- solution). 4. Produce a development and marketing roadmap for scaling. I think that people often incorrectly equate ‘lean’ with ‘cheap’. But Lean is not about cost. It is about speed and learning. A key principle of Lean Startup marketing is that limited investment is made in branding and promotion until product/market fit is reached. ► I am confused; what has ‘Lean’ got to do with it? The core idea of lean is to eliminate Waste. The principles of lean inspired The Lean Startup but you don’t really need to study anything about Lean and Six Sigma as applied to production processes. Eric Ries does explain the connection very well in his book – it has something to do with the waste inherent in the batch and queue manufacturing process when you are making complicated products. The reason that Lean fits so well with Lean Startup is that startups can be wasteful as they consume lots of resources. But a startup is not waste if you are learning. For this you need a hypotheses and you need to prove or disprove it by measuring feedback from the market. ►Why do we need the Buzzwords? This is a new area of management. It builds on what we already know. But it must involve new terminology so that everyone has a shared language. One of my favourite and most useful concepts is ‘Engines of Growth’. After reading about the three Engines of Growth: Sticky, Viral and Growth, a business can decide which Engine of Growth applies to its situation. This then helps them to decide on priorities going forward. But I must remind promoters that you don’t really need to become an expert in the ‘lingo’ and it should not be used to show how smart you are or used as evidence that you know what you are doing. For that, you need to show outputs – show what you have learned about your product solution, the target customer segments, and the market. BTW, the same logic applies to your customers, they probably won’t be impressed that you are following the lean startup model – they only care about the ‘job’ that your product solution does for them. Thanks to Graham for making me think. We have come to the same conclusions but I need to highlight the value of The Lean Startup Movement. I recommend that skeptics should read and embrace ‘Running Lean’. 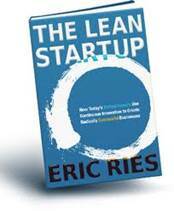 It is a very practical guide that makes Lean Startup principles make sense. I particularly recommend Chapter 6 which deals with how to talk to customers at an early stage. It is a super book and will save Graham having to write his own one for a few more years. The Lean Canvas is a brilliant FREE tool that effectively replaces the need for a startup promoter to write a business plan at an early stage. As always, I hope you enjoyed this post which has been written in record time (no images saves lots of time) and I look forward to further debate and discussion. 4. Draw a line in the Sand … ie. get started.